I had very chilled out cosy Christmassy plans for today which involved washing my sheets, curling up with a Christmassy blanket, reading the Christmasaurus (yes, I realise I’m not a child), drinking a lot of hot chocolate and probably eating quite a few mince pies. As per usual I’m behind on pretty much everything, yep, I’ll try that “getting stuff done before I need to” thing again next year! I really thought I had it down this year, I made my Christmas cards in September and I started making presents in November, obviously I’ve still not mastered the art yet. So instead what I’ll actually be doing today is making two presents, gift tags and wrapping all the presents; that’s my relaxing day flying out the window. The silver lining is that I do enjoy making presents and wrapping them and I get to watch Christmas films in the background, I’m also going to make a big batch of this and work my way through it so it’s not that bad. 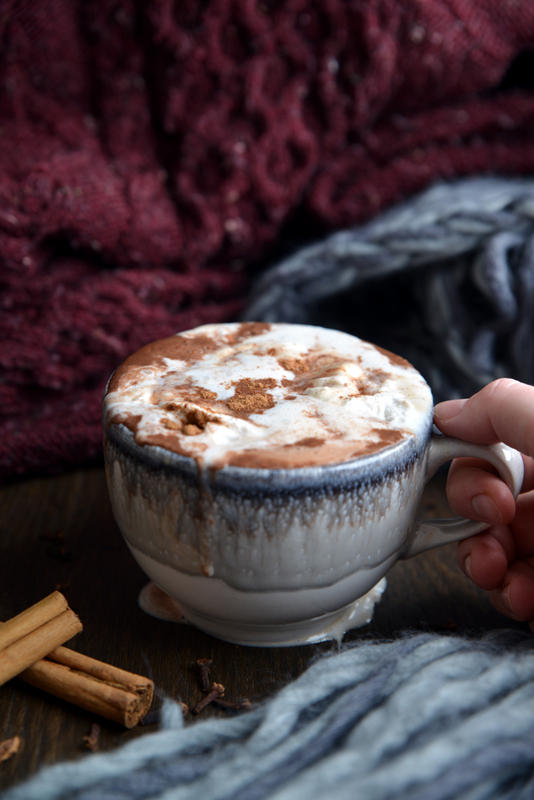 This hot chocolate is pretty much a mug of festiveness! 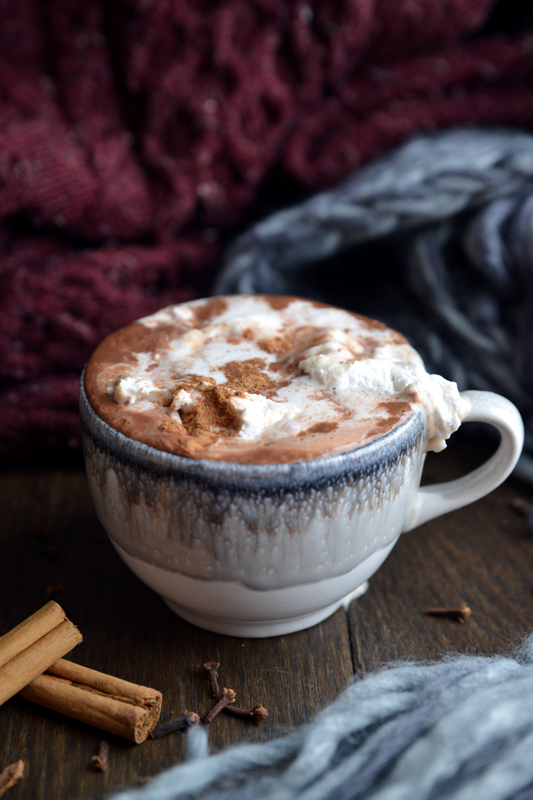 It’s made in a similar way to mulled cider and wine but you mull the milk instead, add in the cocoa powder and sugar and top with cream (I used coconut cream because It’s my newest food obsession) and a sprinkling of cinnamon, seriously it’s like we’re in an episode of OUAT with all the magical feels. Anyway, I would stay here and chat about all things Christmas but I’m a little pinched for time so let’s get to the recipe and hopefully your Christmas Eve is a little more relaxing than mine. Pick the mug you want to drink out of (this is the most important part, I would suggest something festive). Fill the mug one and a quarter times and place the milk in a saucepan. Add in the cinnamon stick, cloves, fresh ginger and clementine slices and place on the hob. On a low heat bring the milk to a gentle simmer and leave for 10-15 minutes. While the milk is simmering put the cocoa powder and sugar in a little dish or glass, add a splash of milk and mix to make a smooth paste. After the milk has mulled fish out the cloves, ginger and clementine slices, add the chocolate paste and stir into the milk, bring back to a simmer and heat until all the paste has dissolved. 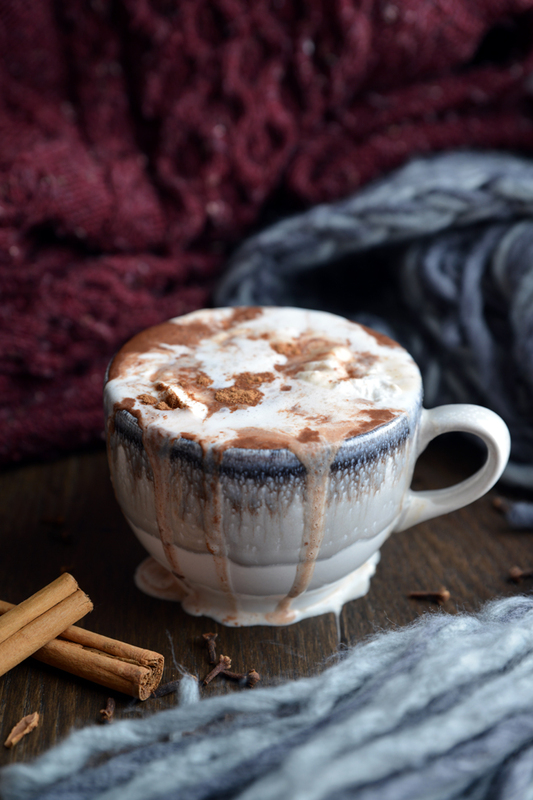 Pour in your mug, top with whipped cream and a sprinkle of cinnamon. Note: If you want to use dairy milk you’ll need to eliminate the Clementine. 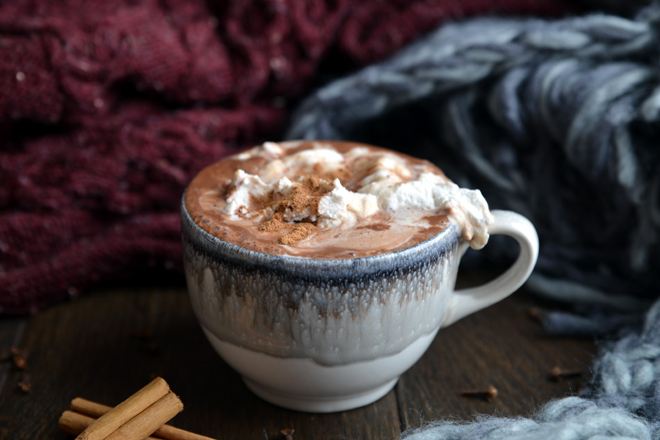 Hot chocolate is one of the rare peasures I indulge in on a daily basis. 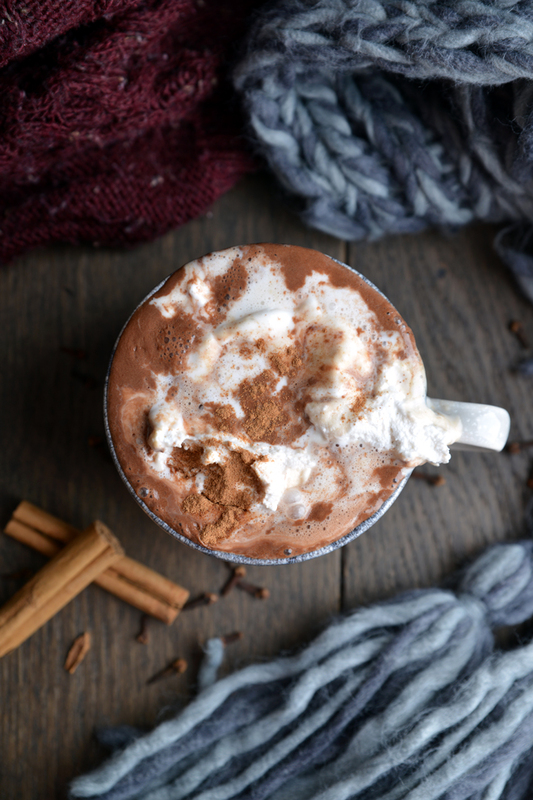 This recipe will add something new to my daily routine of having hot chocolate.